Shop Garden DécorWhether it’s for your yard, garden or patio, there are infinite accessories to enhance your outdoor space. Check out this curated collection of décor that will make your space truly unique. Use this infographic to find out when, where and what vegetables to plant in your garden. 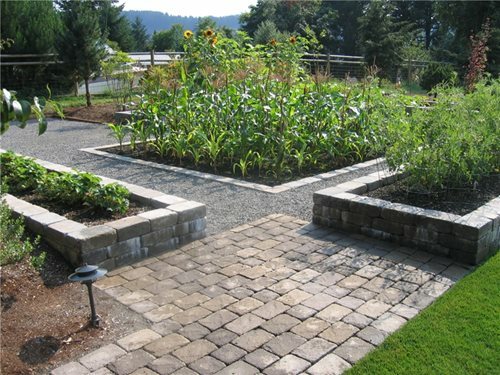 Get tips for garden orientation, size and irrigation. Plus get ideas for protecting raised beds from pests and frost damage. From the beauty of a few potted plants to the explosion of color in a sprawling flower bed, gardening is part of a $10 billion-a-year industry in the U.S., enjoyed by people from coast to coast. And gardening entails much more than planting flowers. Vegetables, fruit trees, vines, lawns, and shrubs are also grown and nurtured by many homeowners. Gardening can also be tailored for all tastes and lifestyles. For the time-pressed weekend gardener, there are simple plans for flower gardens, vegetables, and container plantings that won't require hours of maintenance. For gardening enthusiasts and hobbyists, more elaborate garden plans and plant specimens are available, just waiting for the creative touch of a green thumb. No matter what your skill level, a landscaping professional can help you get started planning and executing a sensational garden that suits your climate, space availability, and personal tastes. 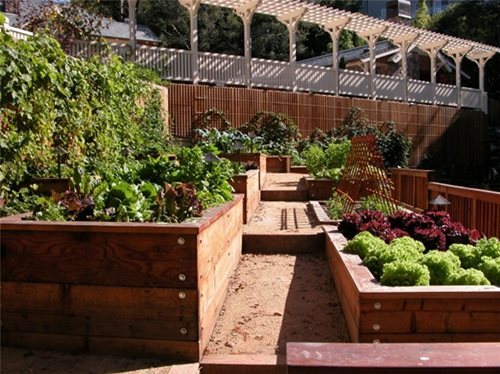 The benefits of growing vegetables, herbs and flowers in raised garden beds. Where to locate a raised garden bed and the best orientation for optimum light conditions. 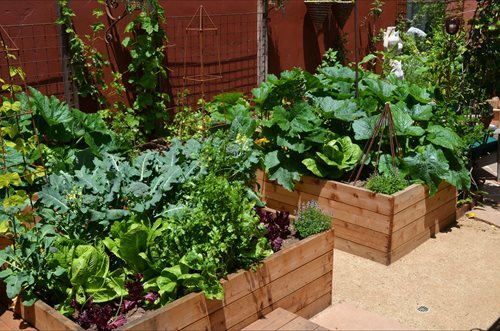 The key factors to consider when determining the size and height of your raised garden bed. 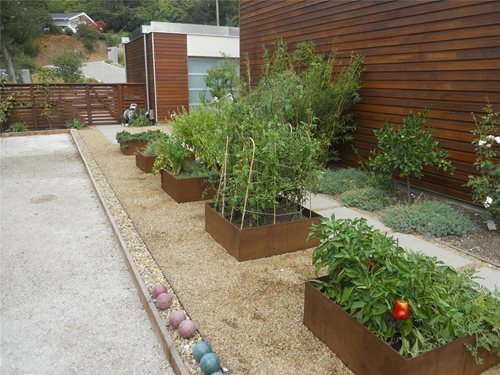 Material options for framing a raised bed, including wood, brick, metal and stone. 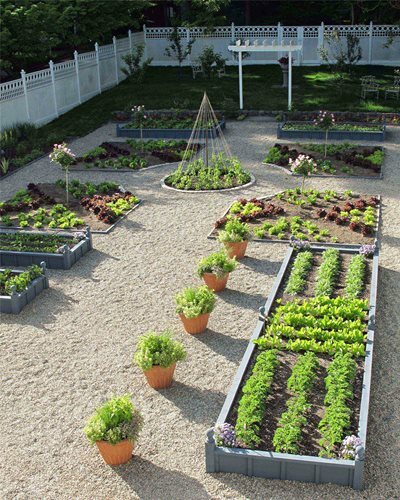 The keys to planting a successful kitchen garden, consisting of home-grown herbs, vegetables and fruits. Popular edible ornamental plants to grow in a kitchen garden. 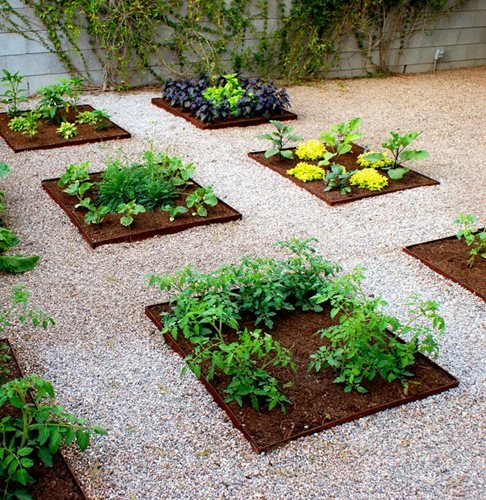 Design ideas for kitchen gardens, including informal, four-square and patterned arrangements. 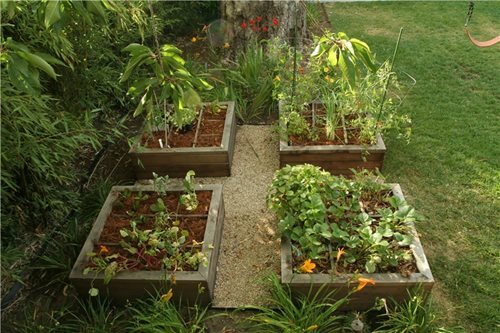 An overview of square-foot gardening and container vegetable gardening for growing vegetables in a limited amount of space. 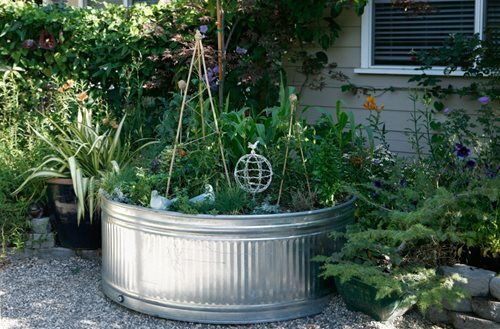 How to select the appropriate container for growing herbs and vegetables. 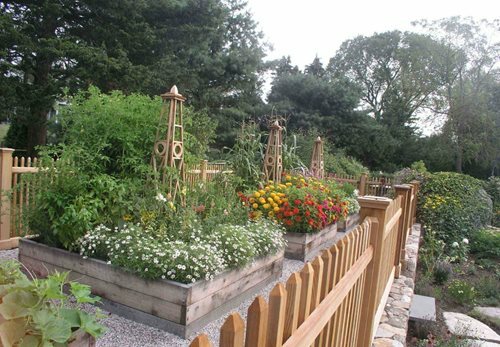 The four main design considerations for incorporating an edible garden into your landscape. What tree species to avoid when planting a vegetable garden because they emit toxins or have highly acidic foliage. How to protect vegetable plants and fruits from deer, rabbits and other wildlife. Using a pulley system to make it easier to raise container plants to a comfortable height for watering. A comparison of the six most common container materials, including cast limestone, cast concrete, terra cotta, glazed ceramic, fiberglass and lead. Ideas for decorating with garden antiques that capture attention and add style. Four ideas for grouping trees in your landscape to frame views, create interest and add drama. How to create a dramatic focal point using two trees of the same species. Ideas for landscaping with olive trees, along with a list of companies that grow, sell and deliver olive trees. Although a home garden should reflect your own personality and style, it's still wise to consult a professional landscaper for advice on a planting plan that will complement your home, lifestyle and climate conditions.